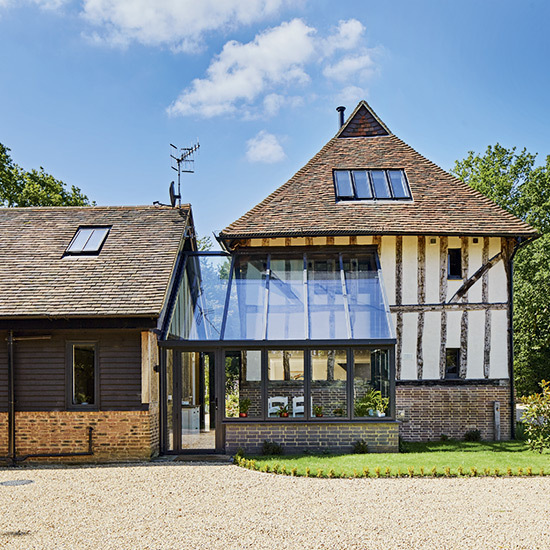 The owners of this home were keen to create a large open-plan kitchen, dining and living area for their farmhouse, which would let in plenty of light and provide views of the surrounding countryside. 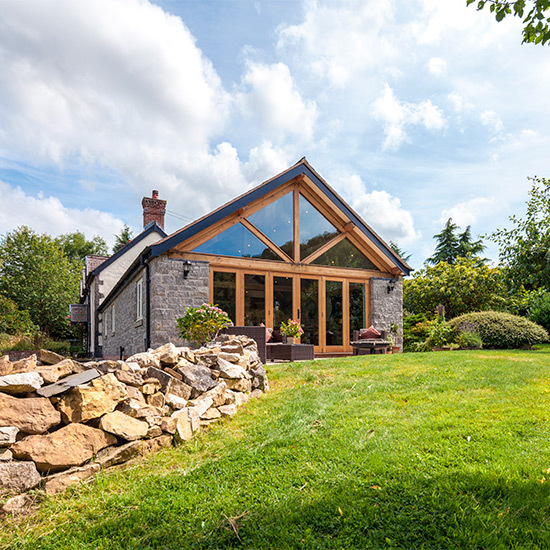 ‘A real benefit of a post and beam-style oak-frame extension is that it enablesa whole gable end to feature stunning double-height glazing, to flood the room with natural light, add instant character and provide stunning views out to the garden,’ says Mark Jones, General Manager, Welsh Oak Frame. 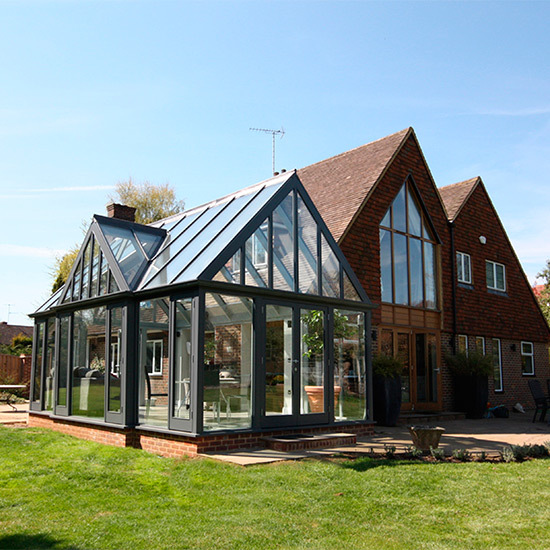 Instead of building a fully glazed conservatory, it’s worth considering an orangery or garden room with all the benefits of a solid roof. It will helpkeep the space snug in winter, while protecting it against overheating in summer. 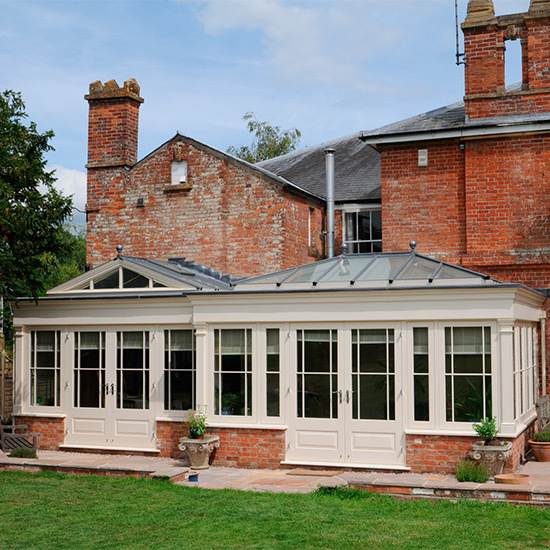 For an authentic country appearance, this seasoned oak orangery is topped by a lantern surrounded by a brim of tiles in shades of warm terracotta that co-ordinate with the brickwork. 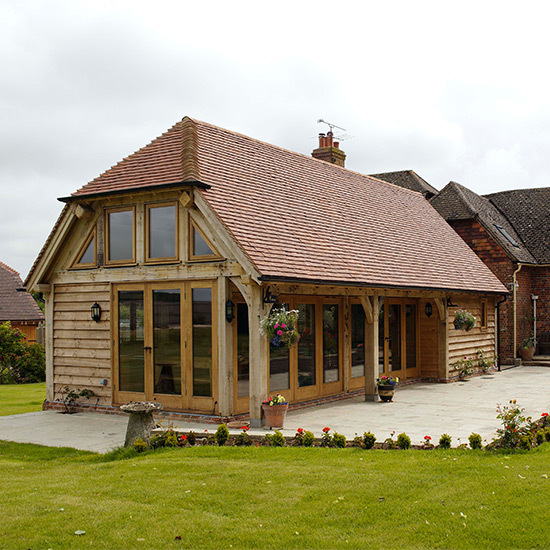 The building provides a beautifully warm and light environment that can be used allyear round. For more lovely country home inspirations visit the Country Homes Interiors webpage.